Our appliance repair company of Kearny is here to assist you with any service in a timely and efficient manner! So if you are tired of dealing with a faulty fridge, washer or stove, don’t delay and call us. We can arrange the visit of the most qualified local expert and in no time at all. Backed with years of experience in home appliances repair, the tech will inspect your unit to detect the source of a trouble and offer the righ t way to fix it. To learn more about our services or set an appointment, get in touch with us today. You won’t be disappointed! 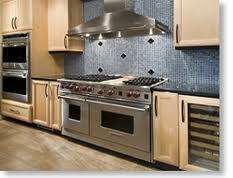 There are numerous appliance repair companies in Kearny, New Jersey. But if you want a company with old-fashioned values and reasonable pricing, turn to us without hesitation. As customer satisfaction is our main goal, we will do whatever it takes to give you excellent results. Once you contact Kearny Appliance Repair, we will dispatch a skilled technician to your home to assess your problem. Each specialist we send out is trained to work on various makes and models. With the help of modern tools and proper parts, the pro will go above and beyond to complete the service right on the spot. In addition, you can count on our appliance repair company to assist you with routine maintenance. By booking inspections once a year, you will be able to protect your kitchen and laundry room appliances from major failures. Having a faulty appliance is a real problem!Moreover, some malfunctions can be quite hazardous. To avoid unneeded troubles, let our Kearny appliance service company help you. We know that you count on your home appliances a great deal. And so we do our best to arrange same day repair services. All you need to do is to share your needs with us and we will take care of them in a jiffy. By partnering with our appliance repair company in Kearny, you can rest assured knowing all your concerns will be solved fast and at a price you can afford!Call us today.